Said Abdul Hadi Dabir, Tajik, was imprisoned by the communists and is a member of the anti-Soviet mujahedin Jamiat party and an ex-Mujahedin. He was an Independent candidate in the 2004 presidential elections with his Vice-presidents Abdul Rashid, Dad Mohammed. He got 0.3%. 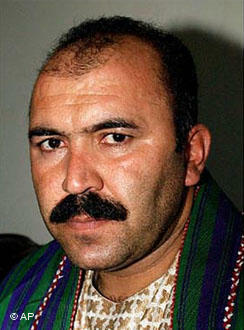 He is a father of four and speaks all of Afghanistan's official languages Pashtu, Dari and Uzbek. Seher Saba, a member of the international committee of RAWA, said - Ahmed Shah Ahmedzai, Hafiz Mansoor, Abdul Hadi Dabir, Latif Pedran, Younas Qanooni, Abdul Rashid Dostum and Muhaqiq - should be tried in courts for their crimes against poor Afghans.